A commanding assertion of the success of Cabot Guns, it is the accomplished leader standing afield, looking out upon those who gaze back in a magnificent awe. The Monarch From The Heavens, regal to be sure, exceeds heirloom quality and presents to those who behold its simplicity and elegance as pillars of a timeless design. Each component of the pistol is perfected to hair-splitting tolerances that seamlessly fit together like a Swiss watch. This creates a cyclic action best described as the slide seemingly riding upon roller bearings as it charges into battery. 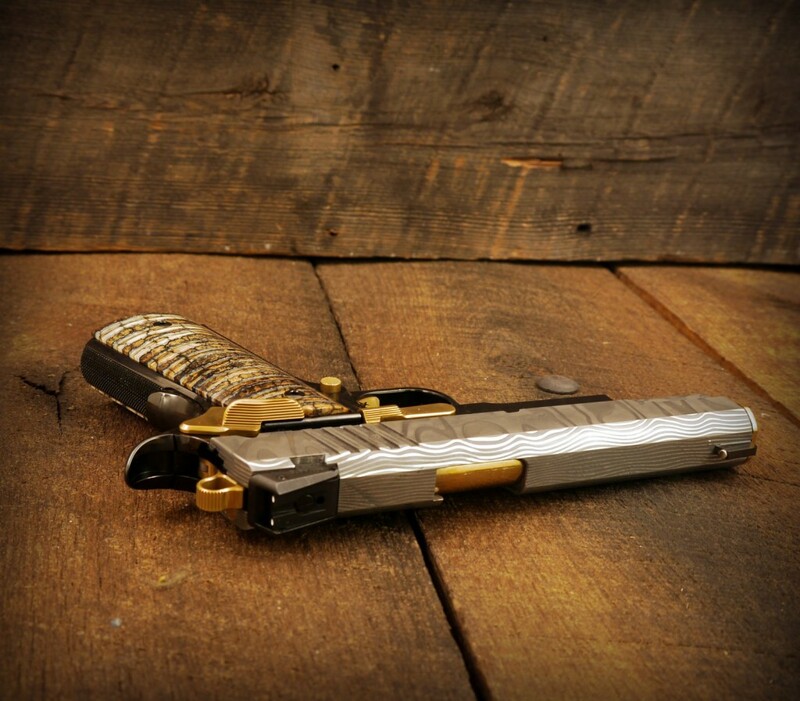 The upper of the pistol features a smoked mirror finish possible only through tireless hours of expertly applied hand polish and is elevated in beauty and depth by the contrasting finish of the frame. To our knowledge the Cabot Damascus 1911 is the first traditional folded steel Damascus pistol ever produced. Other pistols described as Damascus are formed from powdered Damascus, not artisan true folded steel Damascus. Born from a 50 layer block of American artisan made stainless steel by master Damascus craftsman Chad Nichols, the Cabot Damascus 1911 represents a new achievement. Extraordinary to machine and grind this will likely be the only 1911 we will produce from true traditional folded Damascus steel. 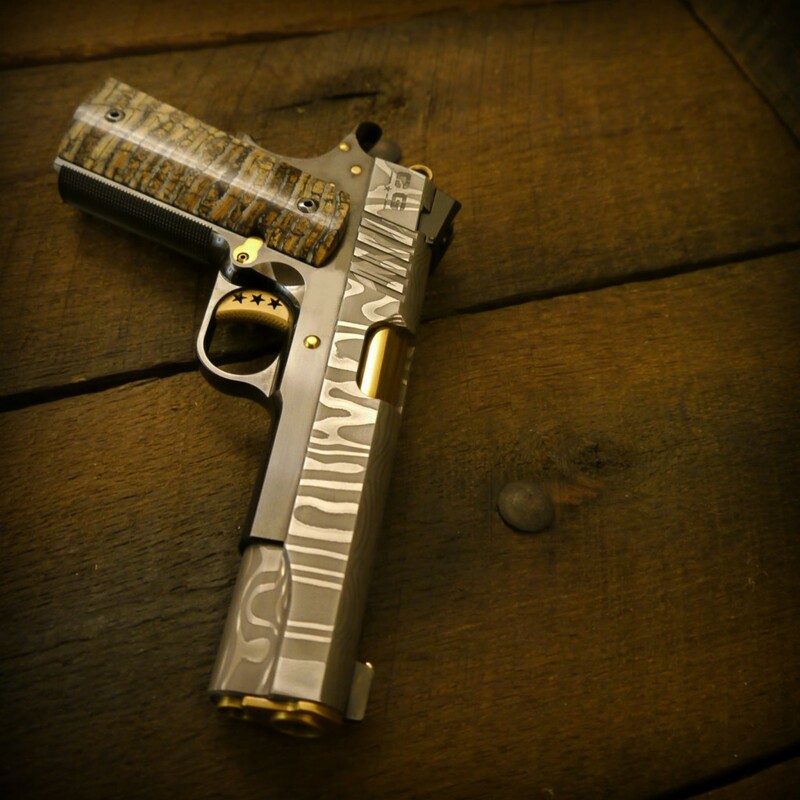 The grips for this pistol are also a work of art. 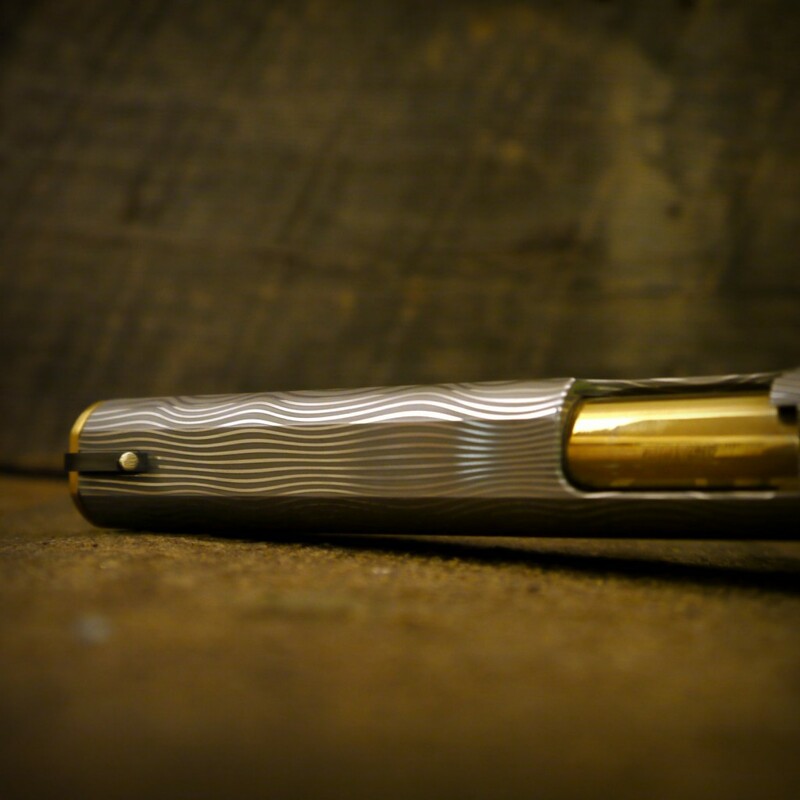 Commissioned from sculptor and artist Brian Challis, the grips on the Cabot Damascus 1911 are created from an ancient tooth of the woolly mammoth. Other refined details include the Cabot Tri-Star trigger with a rounded front pad knurled on a rounded and radius pattern, yet another engineering feat. The Cabot Damascus 1911 forms part of Cabot’s OAK (one-of-a-kind) Collection. Cabot’s OAK Collection firearms are investment grade pistols and pistol sets of unprecedented quality and rarity. 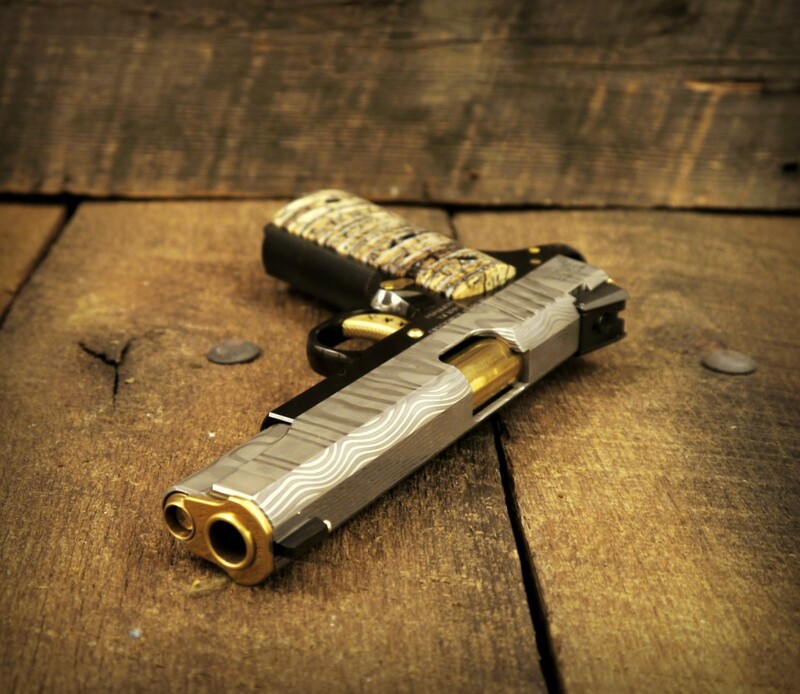 Truly a masterpiece of hand-finished craftsmanship, the Cabot Damascus 1911 place in history has already been firmly established. What remains to be seen is whether or not its place in your history will be assured.